This month, ROOTED, which is the world’s first K-12 Theology of the Body curriculum, was shared with hundreds of church leaders. The Baltimore General Meeting of the United States Catholic Conference of Bishops took place in November and our team attended. 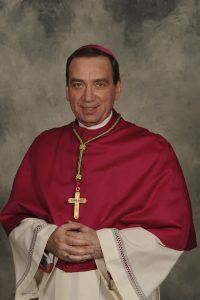 Prior to the meeting, our friend and good shepherd, Archbishop Dennis Schnurr of the Archdiocese of Cincinnati wrote a letter to all American bishops. This letter invited all fellow bishops to review and discern bringing Theology of the Body to life through the ROOTED curriculum. Throughout the four days in Baltimore, the team at Ruah Woods Press shared with bishops the great gift of TOB. This even included our curriculum authors and designers. It was through visits and conversation that team saw evidence of the strength and hope of the church faithful. This, as well as daily Mass, meetings, and newly formed friendships, was proof of God working. We discovered, in Baltimore, a huge team of leaders willing to cast out into the deep. To cast out into the deep and embrace TOB as a necessary piece of the New Evangelization. As the world seems darker and darker, ROOTED is a spark of light ready to ignite the culture of life. TOB is ready to reclaim the dignity of the human, created male and female in the image and likeness of God. ROOTED: K-12 Theology of the Body curriculum is ready to transform parishes, schools, and families. We continue to pray daily for our Church, our Bishops, our priests, as well as our schools and families. Please join us in these holy efforts!